Generally I find it much easier to eat healthily during the week when I am working. However, working 5 days a week can mean it becomes easy to rely on the same lunches day in day out and it eventually gets to a point where you don't look forward to lunches. Chicken-based salads are one of my favourite things to make for lunch as I can flavour the chicken with whatever spices I feel like. I also love it as chicken is filling as a protein source which makes for a less hangry Amey later. This salad had chicken flavoured with a Jamie Oliver mix, cucumber (has always been a favourite), pepper, cherry toms and a mixed bed of leaves. 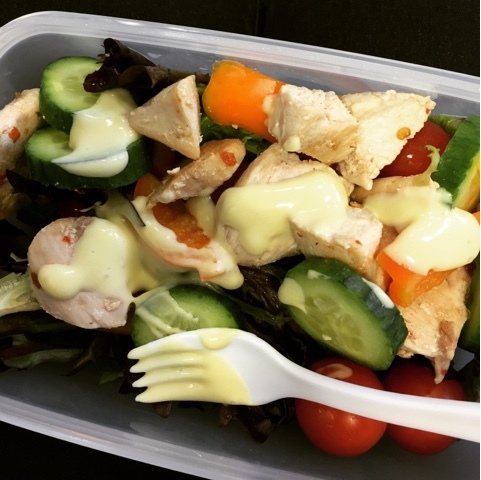 I also had a tiny bit of salad cream on it which was kept separate until the last minute. I am a huge fan of Mexican food and in an attempt to spice up my lunches, I came across these Burrito bowls. They are really easy to make and once you have cooked the rice, the rest takes no time at all. They are also extremely filling too. In this Burrito Bowl, I had rice, sweetcorn, black beans, avocado, plum toms and romaine lettuce topped with a homemade Chipotle sauce. This one is another Chicken salad but with a twist. Instead of mixed leaves, I have used Kale and romaine lettuce in equal parts as the base . 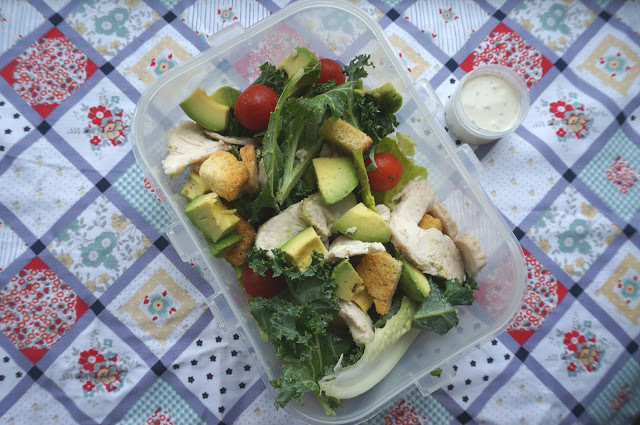 There is also avocado, chicken and tomatoes with some crunchy croutons. Oh my! I love having these for lunch simply because it's a little bit of whatever I fancy (healthy options of course) and the possibilities are endless. 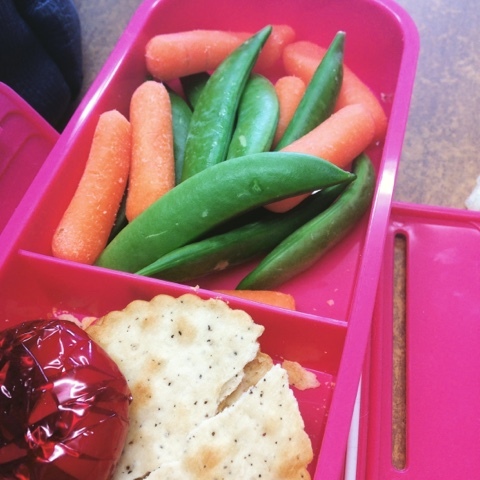 Usually, I have some form of crackers, a portion of protein (chicken or hard-boiled eggs), some raw veg (sugarsnaps if they are available) and a portion of fruit. I then also either have water or a herbal tea with it.